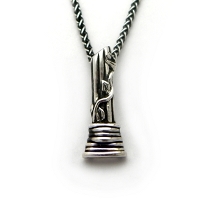 This is a solid sterling silver design using the symbol of a broken column with a sprig of evergreen winding up the sides. 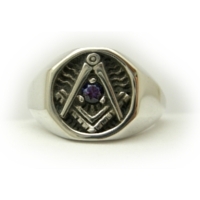 Created for the spouse or family of a Mason to wear in honor of a lost loved one. There are seven flutes to the column, seven steps to the base (broken into two sets of three and then one), and 5 leaves on the evergreen vine. A sober symbol of a Brother lost. A representation of a loved one missed. A dedication to a friend or Brother who had an impact upon one's life. A memento of a marriage based upon Masonic ideals. 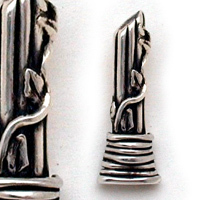 This symbol is available as either a Pin or a Pendant, in Sterling Silver. Gold alloys are available upon request. It is about 1" tall and 1/4" wide.